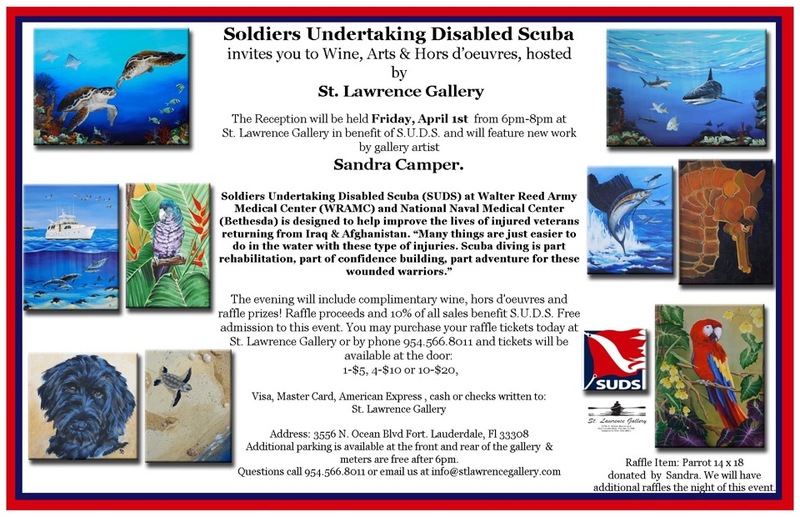 Please join me at the fundraiser for SUDS (Soldiers Undertaking Disabled Scuba) for our war veterans on April 1st from 6:00 to 8:00 PM at the St. Lawrence Gallery (3556 N. Ocean Blvd. Ft. Lauderdale, FL 33308). Complimentary wine, hors d'oeuvres and raffle prizes! Free admission!